Hong Kong, Belarus, Salzburg, Sydney, London, New York City, Nuremburg, Iceland, Puerto Rico and… Boston? What do these 10 disparate destinations have in common? They score high on Christmas cheer & yuletide greetings according to a recent CNN report Top 10 Christmas Destinations. A few of these destinations score big for the sunny & very unChristmas like weather. Others made the list for their ancient Christmas markets. Boston made the list for? Anyone who has been to Boston during the festive season, knows the Christmas charm is overflowing. Being the epicenter of New England, Boston represents the New England Christmas traditions well. It is common to have a white Christmas here, so snow duster brick & cobblestone streets are welcomed sight during the season. The quaint residential neighborhoods in downtown Boston are decorated with live evergreen, wreaths & adornments. The glimpse of holiday lights in the neighborhood windows is an added touch of holiday spirit. It is the perfect time for travel to Boston. In Boston you can trade in the typical holiday turkey for a fresh local lobster dinner. 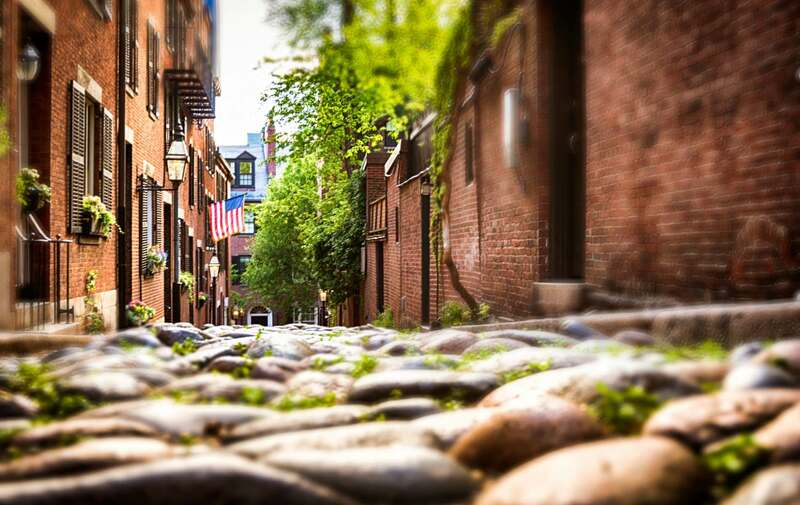 With a list of activities to keep you busy, there are no shortage of things to do in Boston. It is a fantastic choice for the holidays. Enjoy Boston Ballet’s Nutcracker, Ice Skating on the Frog Pond & Christmas shopping on Newbury Street. Do not miss the scene of candlelit carols at Trinity Church in Copley Square. If you love things festive & bright consider staying at bed and breakfast where you will instantly soak up the holiday charm. Clarendon Square Inn definitely will dazzle you with a display of glitter regalia & twinkling lights. Our signature holiday tradition, is our city sized cranberry bog in our front pond. Nothing better represents Christmas in New England or holiday traditions like a stay at Clarendon Square Bed and Breakfast. By this time of year, most people have already planned their Christmas holiday, but consider a relaxing escape during the month of December. A night or two in Boston is the perfect time to soak up the festive Christmas charm while relaxing and enjoying this time of year. This entry was posted in Uncategorized and tagged boston, boston ballet, boston bed and breakfast, boston nutcracker, clarendon square, holiday tips, holidays by admin. Bookmark the permalink.